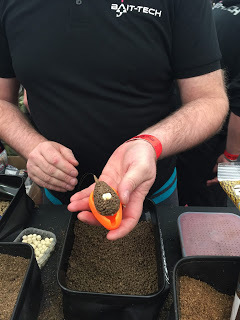 Dean gave us a little demo of the Sticky Pellets and initially I thought they’re a great idea but I wasn’t sure I’d use them much as I don’t fish the method but after chatting to Dean and having a look, there are many more applications than just the method, you can mould them into small balls for feeding via a pole cup or even by hand or you could use a groundbait punch to get identical size nuggets every time. 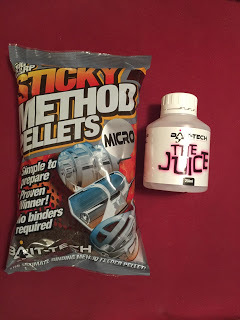 The Juice looks and smells great and there’s been loads of hype around it and I can’t wait to try both of these exciting new products. 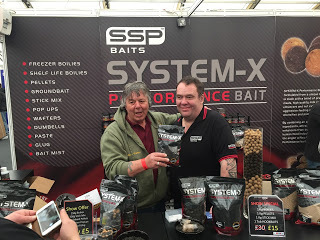 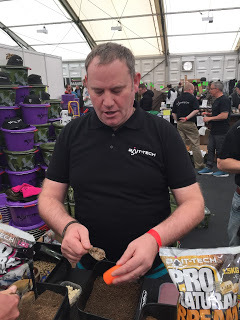 We also had a long chat with Bait-Tech and Matrix backed Jamie Harrison, what a lovely guy and hopefully the next interview on the blog. 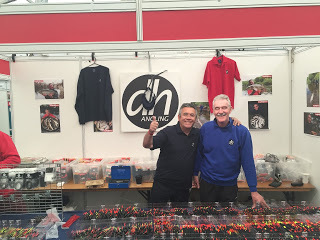 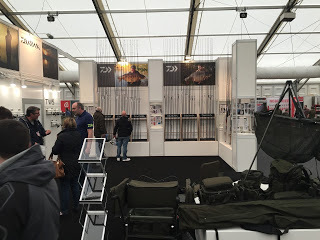 Other big brands included Daiwa, Guru and Garbolino and for the second year running, we tried to have a chat with Des Shipp on the Preston stand but he’s so popular, we couldn’t get near him, maybe next year! 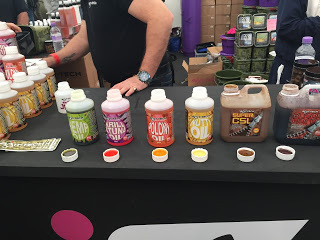 Dave Harrell and floats galore! 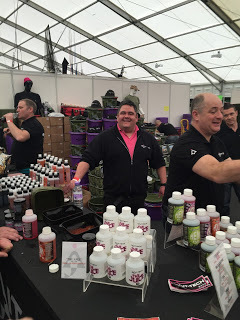 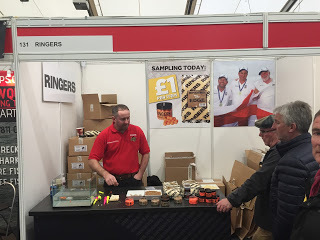 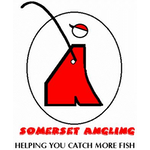 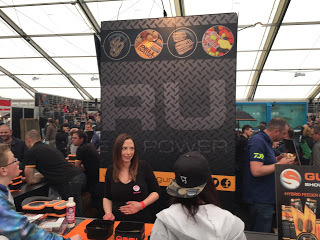 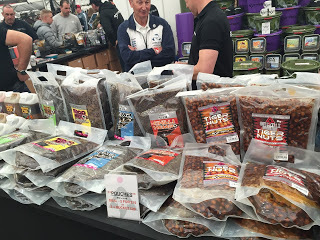 Phil Ringer was demonstrating the new Ringers Spring Loaded Bait Punch and Chocolate Orange Wafters. 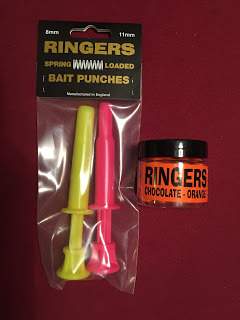 The bait punch looks a great piece of kit, they’re strong and robust, brightly coloured, float, can be used for bread and meat. 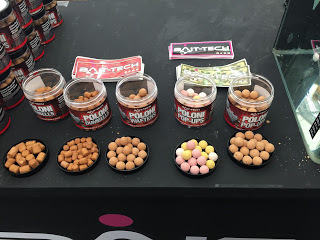 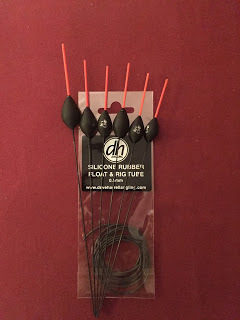 Each pack contains a 8mm and 11mm punch and retails for £6.99, look out for my full review coming soon. 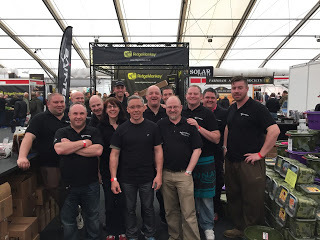 So another great show and it just seems to get bigger and better every year. 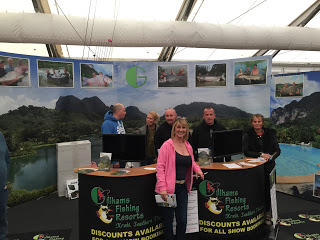 If you’re going tomorrow, have a great day or if you’ve never been, make sure you go next year, you won’t be disappointed. 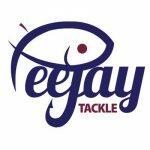 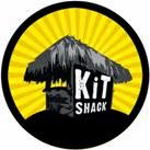 Now I have to go out and buy five more tackle boxes for all that cool stuff. 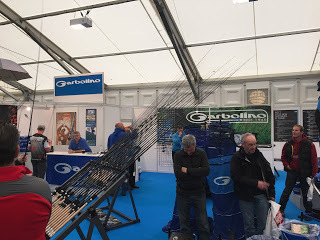 Ha ha, I know what you mean, you can never have enough fishing gear!